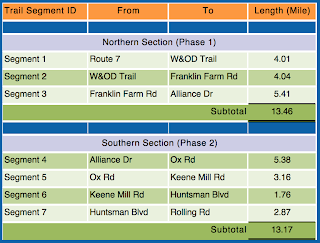 Why is VDOT asking Fairfax County to fund trail maintenance and repairs on the portions of ROW owned by the County? Does VDOT ask the County to fund any maintenance or repairs for the Parkway proper? Is only Phase One repaving scheduled for 2014? If so, when is Phase Two scheduled?